Llansanffraid Glyndyfrdwy is one of the ancient parishes of Merioneth. The old church stood on the bank of the river, but it was completely washed away in a flood early in the seventeenth century. 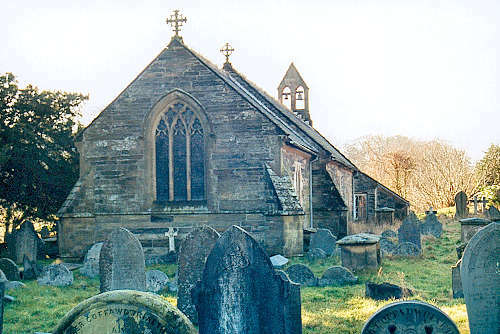 A new church was erected in 1611, on the present site in Carrog, high above the river. It was extensively restored in 1852, and the chancel was added in 1867. For family history information about the church and parish, visit the GenUKI Carrog page.